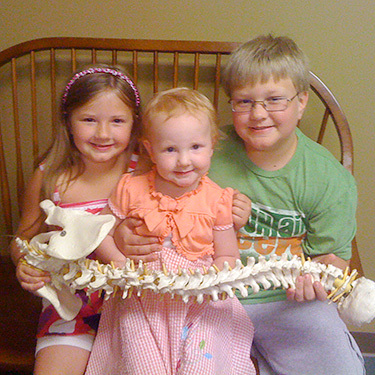 Chiropractic Care East Liverpool OH | Miladin Chiropractic Inc. The nervous system controls every function in your body, from respiration to digestion. It’s responsible for sending messages from the brain and the spinal cord to the rest of the body. If spinal misalignment is present, however, nerve interference results. This disruption in nerve signals can create pain, inflammation, reduced immune response and decreased function. This is why it’s important for every infant to get a chiropractic check-up as soon after birth as possible; the outcome is optimal physical, mental, spiritual and emotional function. We’re proud to offer the best in advanced technology when it comes to the chiropractic adjustment: we almost exclusively offer the benefits of The Impulse iQ Adjusting Instrument®. This patented and FDA registered device was developed to provide gentle and precise computer-assisted adjustments to relieve pain and restore function. This advanced technology has a highly sensitive sensor that provides information from your body’s response to each adjustment to a micro-computer inside the device. This sensor gives us immediate and accurate feedback as to the efficiency of each treatment. The treatment itself is gentle, requiring no twisting or popping of spinal joints. It’s ideal for every patient, but particularly helpful for children, the elderly and those suffering from recent injury. We also feature The Webster Technique, which is the foremost chiropractic technique in the world today to help moms-to-be have the most optimal pregnancy possible. Dr. Craig is additionally certified as a physical therapist, so he can provide his patients with accurate home health care guidelines. We encourage you to contact Miladin Chiropractic Inc. in East Liverpool today for a same-day appointment. We treat everyone from professional athletes and weekend warriors to pregnant moms and kids of every age!